I'm a Guest Panelist @ LuAnn Nigara Live! At the end of March, I am headed to NEW JERSEY?! 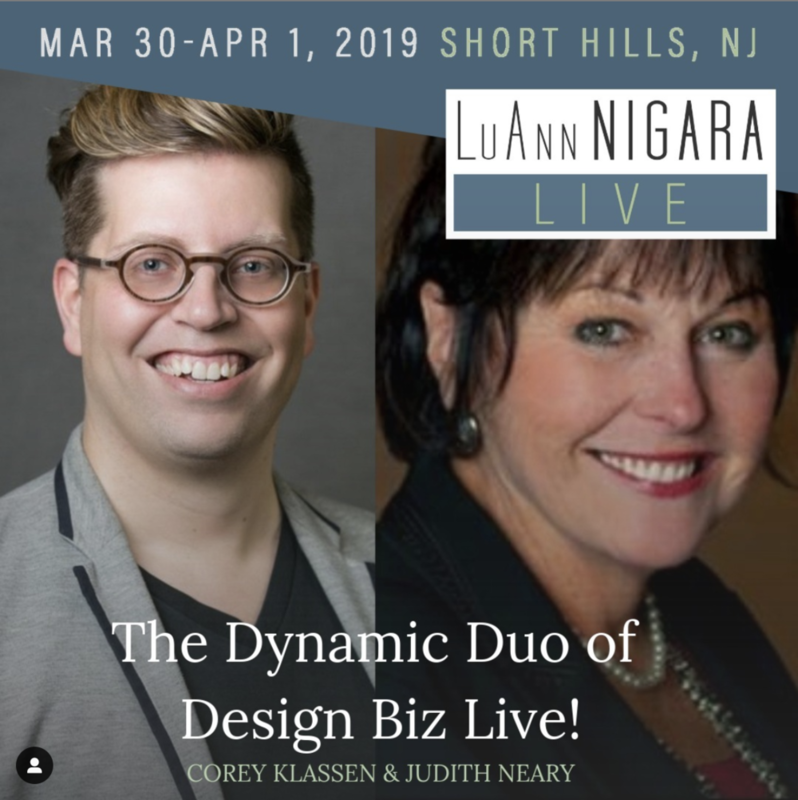 Okay, let me start over… At the end of March, I’m headed to LuAnn Nigara Live: It’s About The Conversation as a guest panelist. Exciting, right? If you don’t know who LuAnn is or why that is a big deal, then let me spare not one more minute explaining. LuAnn is the host of A Well Designed Business Podcast and my co-hort Judith A. Neary, CMKBD have been regular occuring guests under a topic we call “Design Biz Live.” Since we started appearing on Lu’s podcast, we have always taken the approach of being honest and truthful about the design business - because it’s not so easy sometimes and things can get really challenging. Have you taken a second to see what she’s doing and why you should go? It’s pretty amazing/epic/outstanding. And Judith just sent me this from the floor of the Kitchen & Bath Industry Show… if you don’t understand the joke you really need to listen to our guest series.